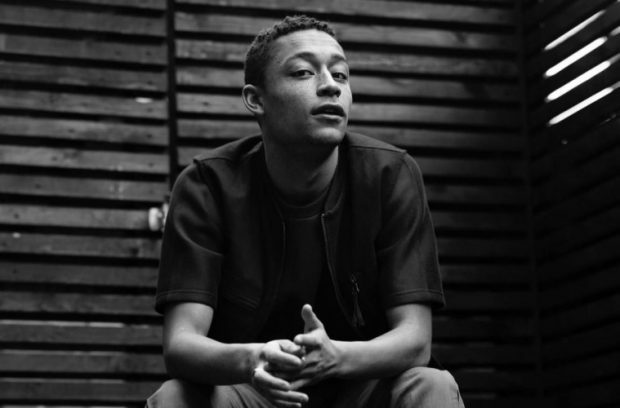 On the back of a summer full of festival dates, a Mercury Prize nomination for his stunning debut album ‘Yesterday’s Gone’ and sold out dates across the country, the South London rapper Loyle Carner returned to Birmingham beaming full of excitement and passion. Playing his first gig headlining the beautiful o2 Institute, it is clear to see that the hype machine has done it’s rounds, as the lights dip to allow the show to begin, the room is filled with delightful screams and cheers as he walks out. He launches straight in to album opener ‘The Isle of Arran’ and immediately the crowd are in his grasp. During the show, Carner reminds us how much of a kind-hearted soul he is. After being contacted by a fan, he spots the guy in the crowd and hands him a beer. Needless to say that that young man’s week had just got better. There are many highlights throughout the set including; ‘Stars and Shards’ which sees the entire room bouncing around and ‘Damselfly’ which sees Carner leading the crowd through a mass sing-a-long during the chorus. The prowess and passion coming through from the South London Rapper tonight is incredible and easy to see why he is fast-becoming one of the names to know. Loyle also has a softer side and his soulful side shines through on tracks like ‘The Seamstress’ and fan favourite ‘Son of Jean’ which ends the main set tonight. By the time he walks off stage the enthusiasm is pumping from the room and the cries for an encore ring around the room. Carner’s confidence is shown off well as he plauds his way through slices of the album including ‘Meant It In The Morning’, ‘+44’, ‘Florence’, ‘Gotham’ and ‘Ain’t Nothing Changed’. Everything is eaten up from the lively crowd as they bounce and even mosh along in sheer ecstacy. By the time he returns to the stage for an encore, Carner gives us the biggest sing-a-long of the night by performing ‘No CD’. For anyone who’s caught him before, there is a huge distinction between how he performed a few months ago compared to this run of dates. A finely crafted art and confidence on the back of positive reviews, and performances shines. Loyle Carner is an artist you need to see now and if you don’t yet know his name, you will soon.